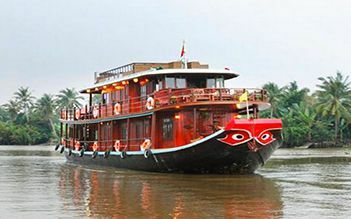 Mien Tay Cruise will bring you to explore the unique and colorful life on Mekong Delta. We will cruise in numerous small canals and arroyos to experience the daily life of local people along the riverbeds: floating markets, orchards, local school and fruit production factories. 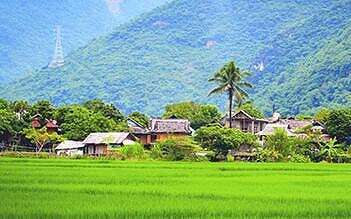 Especially, you will have a good chance to take a morning walk along the banks of Mekong River and find yourself lost in the beauty of Mekong Delta and local culture in each village. Personal expenses and any service not mentioned in the Inclusion. 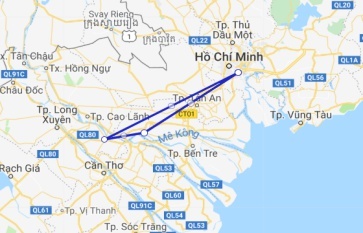 -07h30am: pick up at hotel in Saigon then route for Cai Be (120km). -10h00am: arrive Cai Be, small motor boat trip to explore the lively Cai Be floating market in the morning. 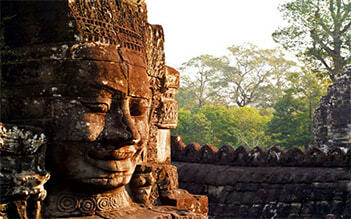 -Walking for visit a handicraft village of the local people and sample various tropical fruits. 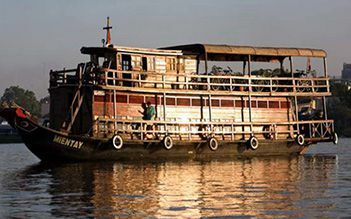 -Continue boat trip to Mekong Lodge – an eco-resort Mekong Lodge includes more than 40 private pretty bungalows and River View Restaurant, stretched in an area of more than 10.000 m2 lays just beside the Tien River. -Visit Mekong Lodge and walking around this area to see local people who are doing daily activities and preparing lunch for their families. -Embark Mien Tay sampan, welcome drink and check in Mien Tay sampan. -After lunch, cruise depart from Cai Be to Sa Dec via My Thuan, a nice and quiet town overlooking Mekong river. Up to river tide, stop en route to visit brickyard handricarft villages a long the Mekong River. -Relax on boat while sipping an aperitif . 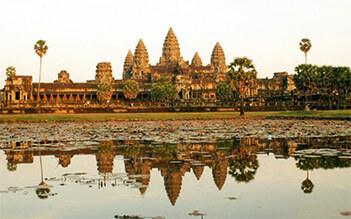 -Dinner and overnight on board in Sa Dec.
-Breakfast on board while seeing activities on Mekong River in Sa Dec in the sunrise. -08h00 disembark and check out luggages, let them on vehicle and start excursion to visit Sa Dec town where Marguerite Duras's famous novel Lover was set and made famous by the film L’Amant, the Marguerite Duras story and explore this town. -Visit the lively Sa Dec food market and primary school headed by Magueritte Duras, Huynh Thuy Le Old House, Kien An Cung, Cao Dai Temple. -Visit a local garden by walking or biking along the village path and get yourself acquaintance with rural activities as farmers farm their fields & orchards. -10h30 return Saigon by car. Drive to a restaurant in My Tho. Lunch at restaurant. END TOUR. 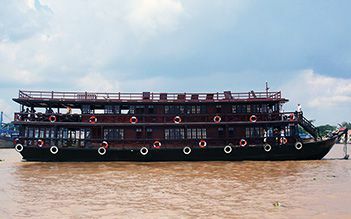 When our hotel offered this package tour, we didn't expect any adventures here other than sailing thru one of the longest rivers in the world, the Mekong. We're wrong. First, we boarded a long-tail boat and headed to honey bee farm for some demonstration on honey bees and Vietnamese honey tea tasting. You also get to mingle with some village folks here with their workshops selling indigenous products. As you go around, you'll find exotic fruits like the durian. You will be served with platters of local fruits like dragon fruit and ripe mangoes accompanied by live local music and dance. Then on to sampan boat ride, the loveliest part of this Mekong trip. You pass thru narrow canals with canopy of palms and beautiful mangroves. Drop by a coconut candy factory and try their numerous sweets. Thenafter, ride on a horse-driven cart to a sumptuous lunch in a nearby village. Finally, board on a motorized small boat coasting thru small water channels back to Mekong River. 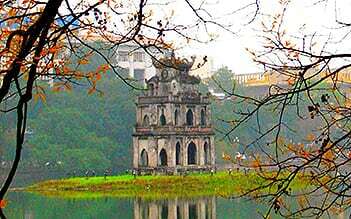 Awesome trips in this southern part of Vietnam. 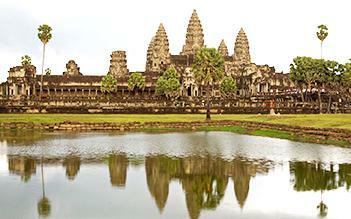 The Mekong River Cruise was wonderful. We loved having our own small boat to travel around the Mekong Delta. We traveled through the small canals and saw fishermen and the way local people live. We got to see coconut candy being made which was also interesting. On the same day, we went to a place for lunch that served elephant ear fish that turned out to be delicious albeit not too pretty to look at! Besides that, we took a horse and buggy ride through a small village. The day was relaxing and pretty much free of tourists. We loved it!